All’s Well that Sells Well! SUPPORTING SHAKESPEARE IS THE SAVVY BUSINESS MOVE! NapaShakes will be good for business. 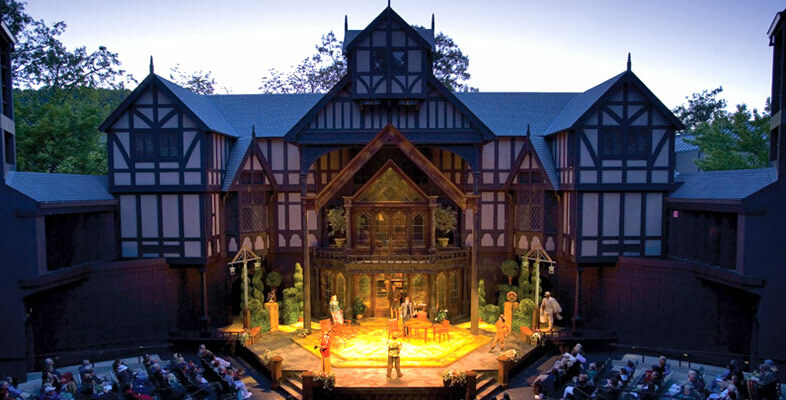 Audiences who travel to London, New York, Stratford, and Ashland as “cultural tourists” can instead visit the Napa Valley, its mild weather enabling outdoor performances of Shakespeare against the backdrop of vineyards and spectacular vistas for the greater part of the year. And while classical theater will appeal to the couples who visit the Valley for romantic holidays, it will also attract singles, students and seniors, religious and women’s groups, and audiences of varied ethnicities, sexual orientations and cultural interests. There is something for everyone in Shakespeare. “No profit grows where is no pleasure ta’en. Napa Valley has the audience and patron base to support world-class theater. Over 4 million people reside within one hour’s drive of Napa Valley. According to the official tourism agency of the region, Visit Napa Valley, over 3 million annual visitors spend over $1.4 billion annually in the Valley. The local wine industry, which generates wholesale revenue of over $4 billion each year, comprise a generous group of patrons – charitable contributions by Napa Valley vintners reach nearly $100 million each year. The potential impact of a major professional Shakespeare theatre on Napa Valley’s economy is evident from the example to the North: the Oregon Shakespeare Festival (OSF) in Ashland. That picturesque town in the Siskiyous at the southern limit of Oregon lies five freeway hours from the largest metropolitan area. From February through October, a hundred thousand people of all ages head to Ashland for the express purpose of attending theater. The festival employs over 300 people, making it one of Ashland’s largest employers. In 2013, a typical year, 108,388 individuals bought 407,787 tickets at OSF, seeing an average of 3.76 plays each. Of these, 92,234 people were visitors to the area spending $54,534,565, excluding their theatre tickets. Added to the $32,233,543 in actual Festival expenditures, the direct contribution to the local economy in 2013 was $86,768,108. Calculations of economic impact use a multiplier effect to measure how often each dollar received will be spent in part on further local goods and services. Based on OSF’s local multiplier of 2.9, the total impact of OSF on the local economy in 2013 was $251,627,515. And across the country, audience demand for Shakespeare is overwhelming. The multiple Tony-winning hit of the recent Broadway season was a critically acclaimed double bill of Shakespeare’s “Twelfth Night” and “Richard III” starring Mark Rylance — a two-time Tony Award winner but hardly a household name. It quickly recouped its $3.1-million capitalization and became profitable, despite making 250 seats available at each performance (about one-quarter of the theatre) for $25 as a means of making Broadway more affordable. Roughly 36,000 tickets were sold at the $25 level (other tickets were reasonable by Broadway standards: $165, $137, $97 and $59). And this sold-out and extended engagement was embraced by audiences of all ages, including the 25-45 demographic. Shakespeare’s plays, and the plays, musicals and films adapted from them, have become reliable box office hits. The Napa Valley is perfectly poised to follow Ashland’s lead, and to become a world-renowned center for cultural tourism. California’s Napa Valley is a place of spectacular scenic beauty, and home to legendary wineries, resorts and restaurants. Names like Screaming Eagle, Bottega and the French Laundry resonate all over the globe for those seeking to savor the good life in abundance. One of the world’s top travel destinations, it attracts millions of cultured and sophisticated visitors every year, and is a second home to some of the area’s most wealthy, educated, creative and influential residents from San Francisco to Silicon Valley. When it comes to theatre, the Napa Valley has no professional regional theatre commensurate with the sophistication of its audience. 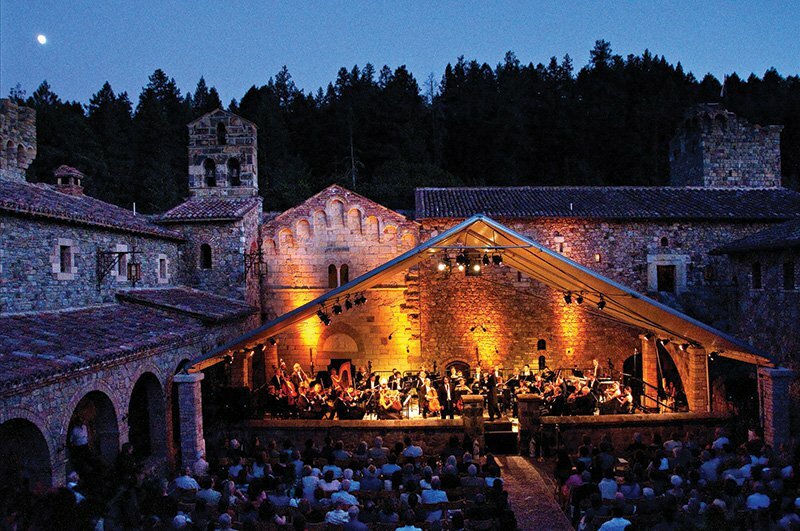 Theatre enthusiasts must instead travel to Berkeley or San Francisco to see regional theatre productions, and to Ashland, San Diego, New York or London to enjoy professional performances of Shakespeare and other classical theatre on a major scale. And while Napa Valley has a dynamic local school, college, and community theatre presence, local students rarely (if ever) get to see a professional company perform Shakespeare or other classical theatre live on stage.